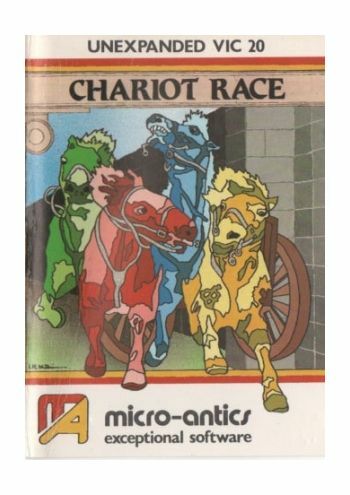 Micro-Antics bring you the noise, speed, and excitement of the Chariot Race in this exceptional game for the VIC 20. You too, will need extreme skill to finish the course, and survive the onslaught of Emperor (VIC) Commodus and his maniacal team. 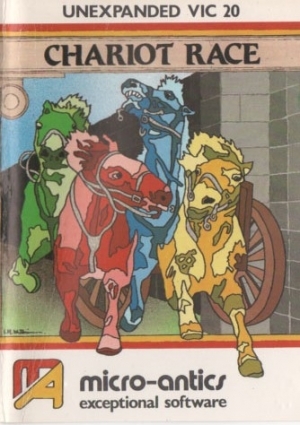 One or Two players attempt to survive the course and smash as many other chariots as possible to win valuable points.